EltaMD is a broad-spectrum sun care line that is approved by the Skin Care Foundation. When used as directed, these products help prevent sunburn and can decrease the risk of skin cancer and early aging caused by the sun’s rays. 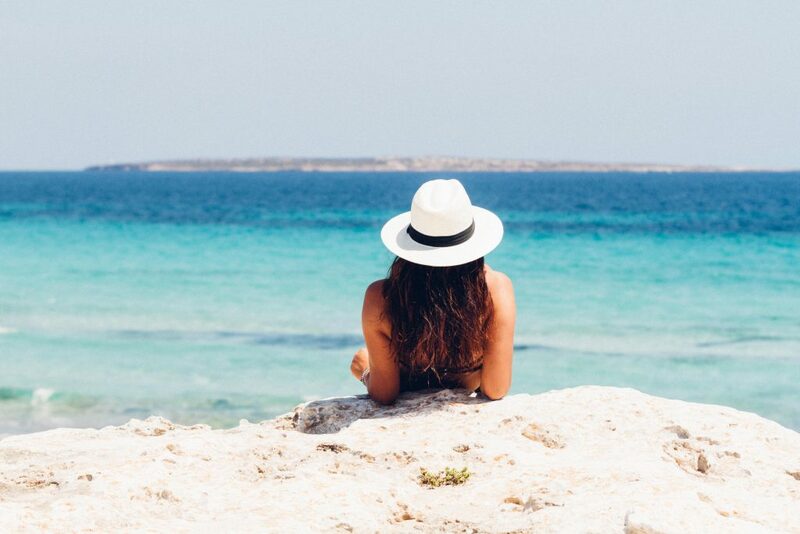 Contact us below to learn more about how we can help protect your skin from the sun, or stop in to our MedSpa to pick up some suncare products! Our skincare experts will work with you to develop a treatment plan to help you reach your beauty goals! What facial sunscreen do you carry? Clear Broad-Spectrum SPF 46 (with or without tint) – Helps calm and protect sensitive skin types prone to breakouts, rosacea, and discoloration. It contains niacinamide (vitamin B3), hyaluronic acid, and lactic acid, ingredients that promote the appearance of healthy-looking skin. Very lightweight and silky, it may be worn with makeup or alone. Daily Broad-Spectrum SPF 40 (with or without tint) – Serious UV protection and superior hydration join forces in this sheer facial sunscreen. It has hyaluronic acid to boost moisture retention and diminish fine lines. This lightweight moisturizer with UV protection can be worn alone or under makeup. Lip Balm Broad-Spectrum SPF 31 – This creamy, long-lasting moisturizing sunscreen soothes and protects dry, chapped, and sun-exposed lips. Physical Broad-Spectrum SPF 41 (with tint) – For oil-free sun protection with just a touch of color, this lightly-tinted sunscreen is a healthy choice. This chemical-free, natural mineral sunscreen has antioxidants to neutralize free radicals, and is water-, humidity-, and perspiration-resistant. What body sunscreen do you carry? Aero Broad-Spectrum SPF 45 – This continuous spray sunscreen makes it easy to protect hard-to-reach places. It sprays on white so you can see coverage, then dries clear when rubbed in. Lotion Broad-Spectrum SPF 30 – Develop a daily sun protection habit by keeping this moisturizing sunscreen handy for the entire family. It can be used from head to toe to hydrate the skin and protect against sun damage. Pure Broad-Spectrum SPF 47 – For those who want natural, chemical-free active ingredients, UV Pure is the ideal daily sunscreen. Ideal for children and adults, the gentle formula glides on wet or dry skin and rubs in quickly. It is formulated with purely physical active ingredients, which are photostable. Shield Broad-Spectrum SPF 45 – Treat your skin to this sheer, oil-free facial sunscreen. Cosmetically elegant, it is recommended for oily to normal skin. It is ideal worn under makeup or alone, and can be used in conjunction with photosensitizing medications. Sport Broad-Spectrum SPF 50 – This sunscreen is great for swimmers, skiers, runners, golfers, and other athletes – or for those who just love to be outdoors! UV Sport is water-resistant, so it won’t rinse off in water or drip into your eyes when you sweat.